Dr. Thomas Reagan Mitchell is a Texas A&M Regents Professor and the Provost and Vice President for Academic Affairs. 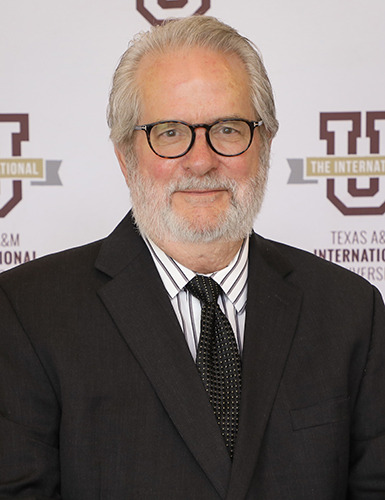 Prior to becoming the provost for the university in 2016, Dr. Mitchell served TAMIU as the Dean of the College of Arts & Sciences, as a Chair of the Department of Language, Literature, and Fine Arts, and as a two-term president of the Faculty Senate. He is a Professor of English specializing in mid-19th century American literature and is the former president of the international Nathaniel Hawthorne Society. The Division of Academic Affairs consists of the College of Arts & Sciences; the College of Education; the A.R. Sanchez School of Business; University College; the College of Nursing & Health Sciences; the Graduate School; Killam Library; the Office of Research & Sponsored Projects; the Office of Institutional Assessment, Planning, and Research; and Continuing Education.